What is Burch Jones Candle Company? 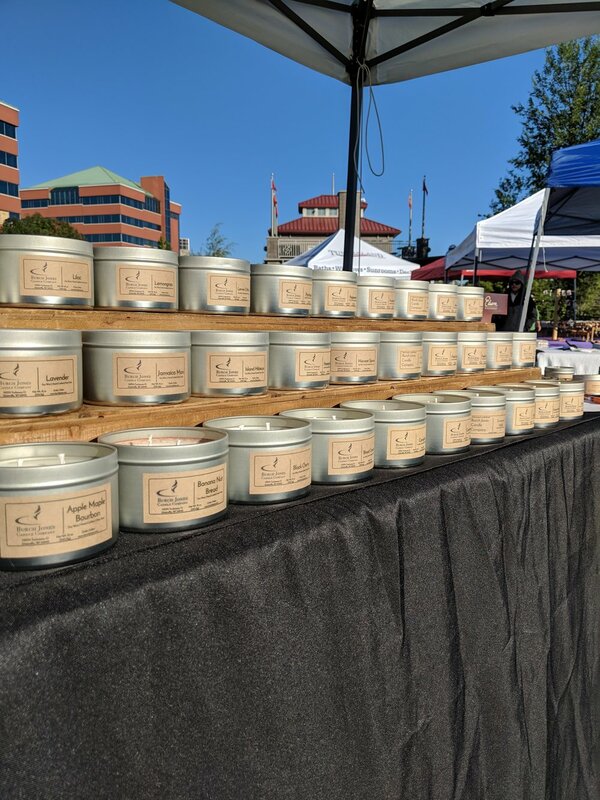 Burch Jones Candle Company hand pours clean burning and eco-friendly soy wax candles and wax melts. We are headquartered in Greenville, Wisconsin and sell our products on our website and at local craft shows and farmer’s markets all over the fox valley. Our candles are made with renewable high-grade soy wax, cotton Eco-wicks, premium fragrances, essential oil blends and pure essential oils commonly used for aromatherapy. Our mission in the community. Our mission is simple, hand pour soy wax candles, to make a difference. Every year Burch Jones Candle Company donates 10% of annual sales to a local non-profit or charity. When Austin Burch and Kyle Jones founded the company they were passionate about giving back to their community. This year we are proud to announce that Burch Jones Candle Company will be making our annual donation to Children's Hospital of Wisconsin. Don't just buy a candle, buy a candle to make a difference in your community. Our local company provides eco-friendly candles hand-crafted with soy wax, premium fragrances, and essential oils. Perfect gift ideas for the holidays or any occasion. We make a wide variety of candles, including options from our essential oil and seasonal collections. The seasonal scented candles are available for a limited time and change according to the season. Our pure essential oil candles are commonly used for aromatherapy and smell fantastic. You can now enjoy any fragrance without the hazard of an open flame with our wax melts. Our unique seasonal blends and essential oils are designed to provide you with peak performance that will fill any home with your favorite aromas. It is our guarantee to never use artificial wax, dyes, or chemicals because we at Burch Jones Candle Company believe in providing pure quality candles at very exceptional prices.